Hi! My name is Gabrielle. My sister Gracie was celebrating her birthday at her grandparents house. I could tell by the looks on her face that she was ready to dig into her ice cream cake. 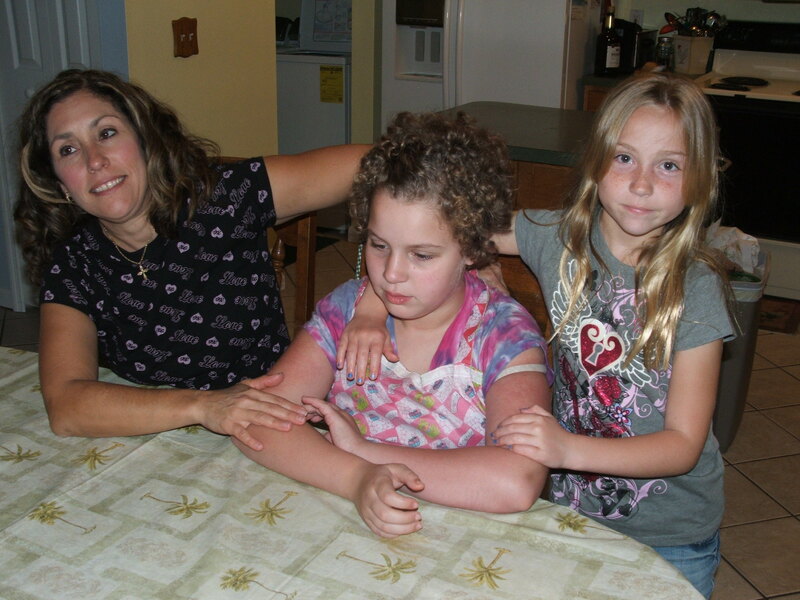 The hardest part about having an autistic sister is that she can’t talk. I hope the stem cells work. The above was written by my eight year old daughter, Gabrielle, who is an awesome sister to Gracie. From time to time Gabby will be contributing posts dedicated to their sister bond. This entry was posted in Sister Bond and tagged children with autistic siblings, Siblings and autism. Bookmark the permalink.